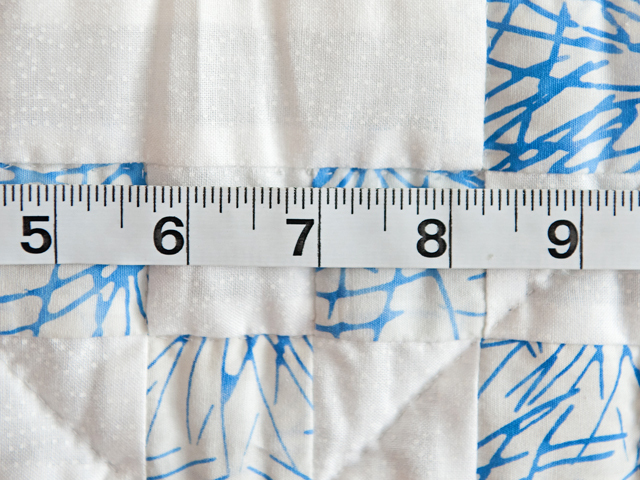 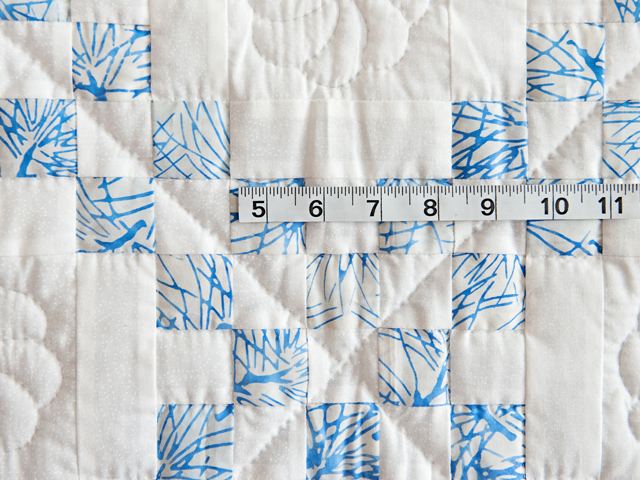 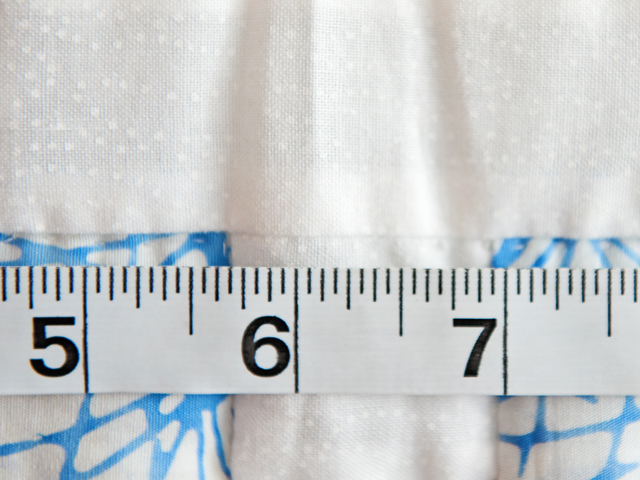 Whimsical blue print fabric and tone on tone white cotton print. 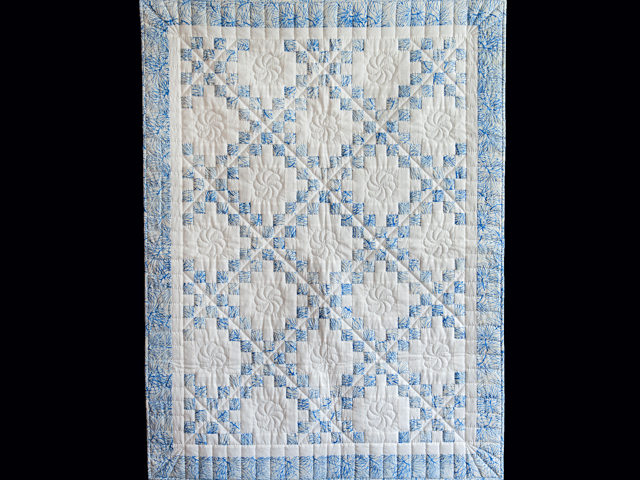 Classic Irish Chain in a size that can be used as a crib quilt, wall hanging or throw. 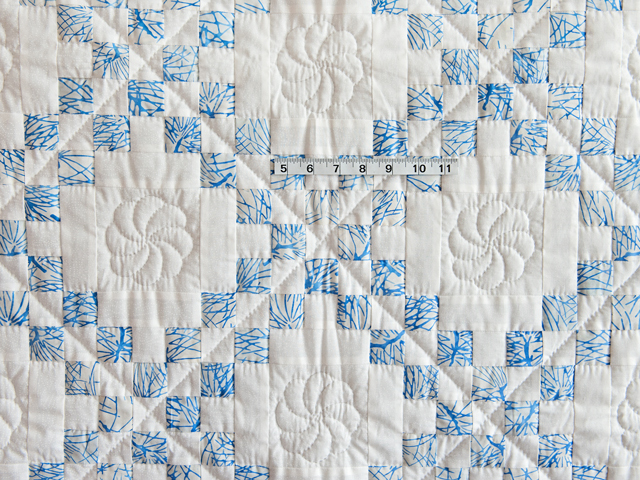 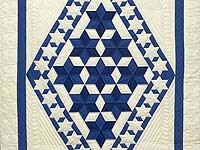 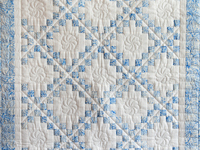 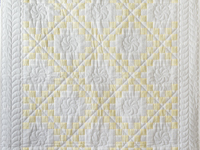 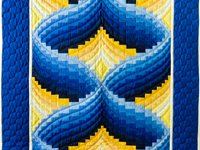 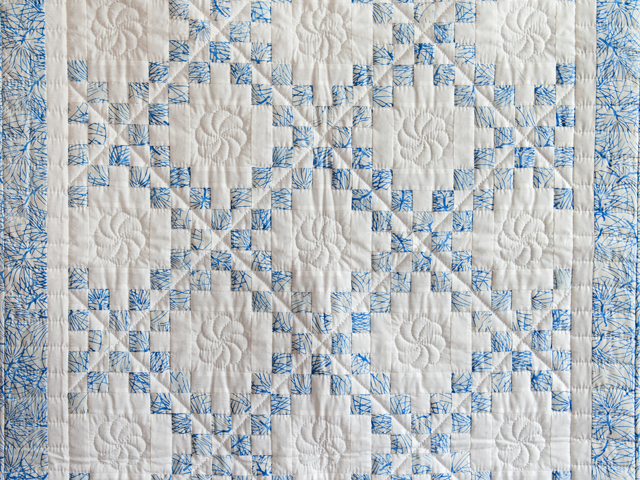 Quilt is well made by Lancaster County, PA young Mennonite quilt designer Connie Lapp and nicely quilted by her mother.